No Tiger Woods At The British Open : The Two-Way Woods' injured knee and Achilles tendon will keep him out of another "major" championship. He's won 14 "major" professional tournaments. Will he beat Jack Nicklaus' record 18 wins? Tiger Woods on June 28, 2011. Saying that "unfortunately, I've been advised that I should not play in the British Open," golfer Tiger Woods announced today that the ligament sprain to his left knee and a strained left Achilles tendon will keep him out of the 2011 British Open. "The Open" will be played next week at the Royal St. George's course on England's south coast. 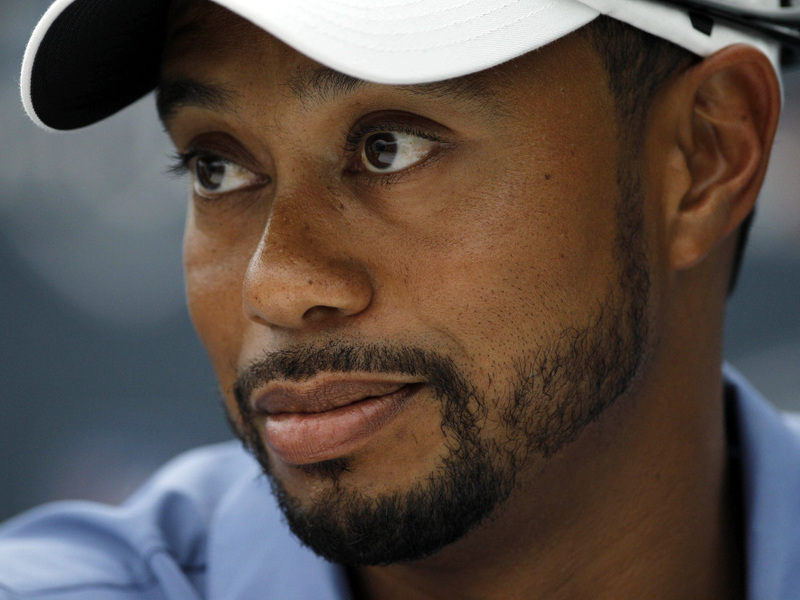 Woods hasn't competed since he stopped after nine holes at the Players Championship in early May. Jack Nicklaus is the all-time leader among men in professional wins at major tournaments, with 18. Meanwhile, some young players such as Rory McIlroy are on the rise.